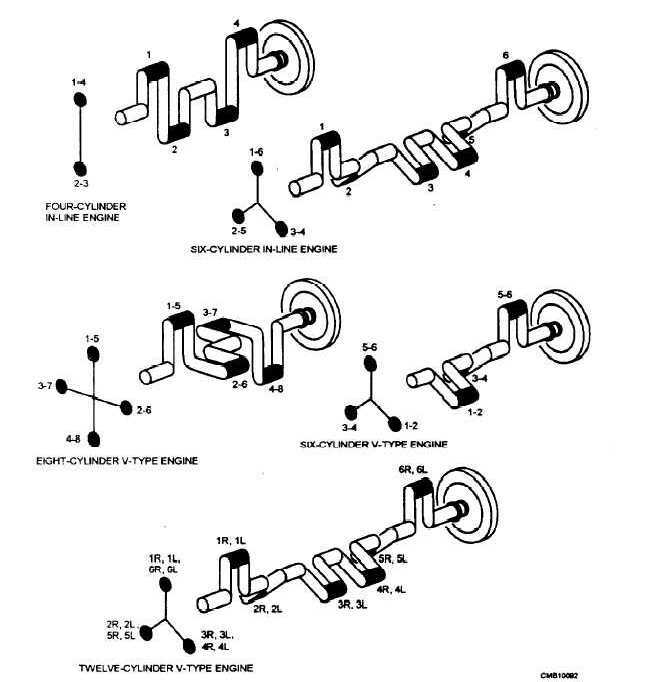 Home > Construction Training Manuals > Construction Mechanic Basic > Figure 3-41.Crankshaft Throw Arrangements. Figure 3-41. - Crankshaft throw arrangements.